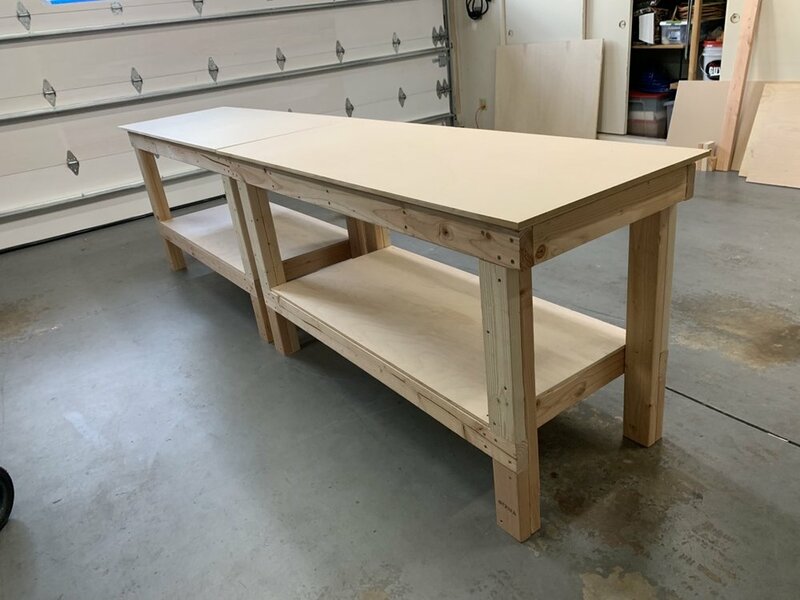 I spent the weekend organizing the garage and building the EAA work benches to spec. I followed the instructions exactly except that I added a 1/2” MDF to the top to create a smooth and easily replaceable surface. I might also add the ability to level these a little better since my garage floor is not very flat. The benches turned out great and now I have a place to hide under in case of earthquake.